Welcome to Buchanan Auto Park, Inc.
About Buchanan Auto Park, Inc. – a Waynesboro, Carlisle, Gettysburg and Hagerstown New & Used Chrysler, Jeep, and Dodge Dealership Buchanan Auto Park, Inc. – the original home of the Lowest Price Guarantee! 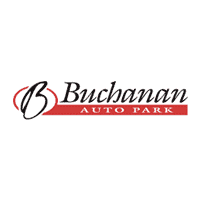 At Buchanan Auto Park, Inc., our experienced and expert sales and service staff have one goal – to make sure that everyone who walks through our doors leaves saying the same thing – “Buchanan really is better!”. Buchanan Auto Park, Inc. offers many automotive products and services to our Waynesboro area customers. From quality new Chrysler, Jeep, and Dodge vehicles to used cars, we know anyone looking for a vehicle in Waynesboro will likely find what they want at our dealership. We carry a comprehensive line of Chrysler, Jeep, and Dodge vehicles, including the Town & Country, 300, Wrangler, Ram and Caliber, making us a good choice as your Waynesboro Chrysler, Jeep, and Dodge car dealer. We work with a vast array of lenders, and our highly trained financing team is committed to making sure you drive away in the vehicle you want, with a payment you can afford. In addition to offering the Lowest Price Guarantee on a huge selection of new vehicles, including the RAM 1500, Dodge Dart and Caliber, Chrysler Town & Country and 300, and JEEP Wrangler, Buchanan Auto Park, Inc. is also home to the Waynesboro area’s trusted car repair, as well as a wide range of original Chrysler, Jeep, and Dodge parts. When you’re shopping for a new or used car in Waynesboro, Gettysburg, Carlisle, and the Hagerstown, MD area, come visit us at Buchanan Auto Park, Inc. located at 11194 Buchanan Trail East in Waynesboro, PA.